Halloween, one of the spookiest times of the year, is also one of the most fun. We've compiled a list of Halloween events taking place in and around Niseko this year so you don't miss out on any of the action. 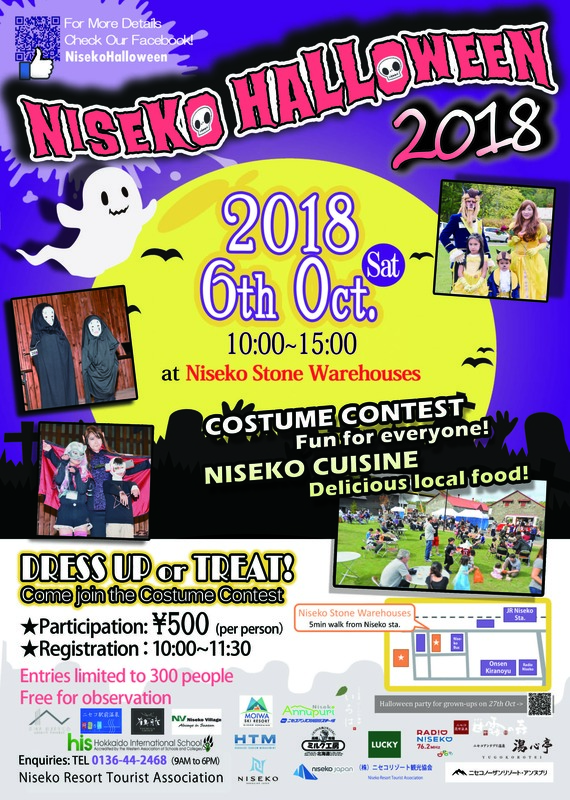 In its 11th year, Niseko's annual Halloween event will include a costume contest, food stalls and lots of fun. Participation in the Trick or Treat and Costume contest involves a ¥500 fee, but touring around is free. Enjoy the food and sweets that are around this Halloween Food Festival! Visit NAC between 27 October to 31 October, 2018 and come adorned in your spookiest Halloween costume to receive 40% off your rafting trip! Offer only applies for direct bookings. Indoor climbing is not included in this offer. Offer cannot be combined with any other offer. Guaranteed to be the spookiest and scariest Halloween party in town. With special happy hour prices on food and drinks until closing time. The evening will feature live performances by local Niseko DJs. Prizes will be awarded to the best costumes of the night. Find out more here. The contest is free to participate in. Simply pick up any pumpkin that is lying around the station, and decorate it with markers for outside use. Winners will receive special prizes! Also if you bring your finished product to Kiranoyu Onsen, you can get in for a discounted price.